as part of Camp War Eagle. Meet Josh Carroll, a senior in industrial and systems engineering, and parent counselor at 2015's Camp War Eagle, Auburn's orientation program for incoming freshman, which kicked off on May 28 and runs through July 17. Josh's decision to attend Auburn was solidified once he attended Camp War Eagle as an incoming freshman, and he hasn't looked back since. 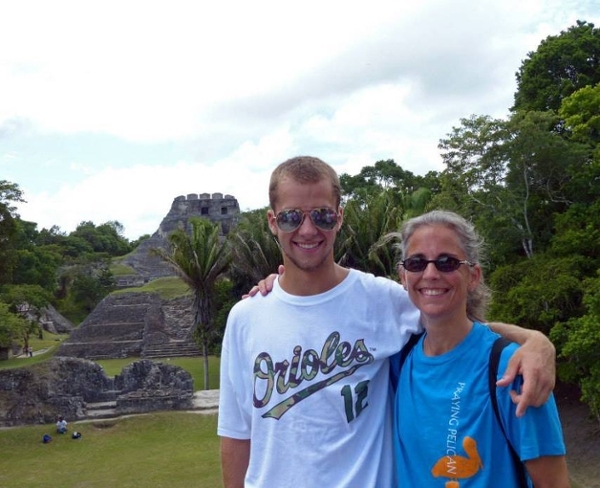 Read more to learn about Josh, his Camp War Eagle experience and why industrial and systems was the major for him. 1. Why did you decide to major in industrial and systems engineering? I was originally an architecture major, but after a semester I realized architecture wasn't the right fit for me. In the spring I took a lot of core classes to help figure out what I wanted to do. After I noticed that I was particularly drawn to math and science classes I decided to try engineering. I went into pre-engineering not knowing which type of engineering I wanted to pursue as a major. However, after taking the introduction to engineering class I was really able to narrow my options to civil and industrial and systems engineering. After comparing the curricula of the two majors I decided industrial and systems engineering was the field I wanted to get into. Industrial and systems is a less known field of engineering but it allows for a wide variety of jobs with endless possibilities. I am very excited for my future. 2. What made you want to be a Camp War Eagle counselor? How long have you been involved with CWE? Camp War Eagle is what affirmed my decision to come to Auburn. I applied to seven different schools along the East Coast and had a really difficult time choosing. Even after committing to Auburn, I was still a little unsure until I came to Camp War Eagle. The experience blew me away because everyone was so friendly and welcoming. They made me feel like Auburn was definitely the right school for me, and I would find my way here. I wanted to create this same feeling in others as they come through the program. This is my first summer with Camp War Eagle. I found out I would be a counselor at callouts on Oct. 29 2014, and have been rigorously training since then, but I've loved every minute of it. 3. What is your favorite part of Camp War Eagle? I really enjoy working with the parents. They are always very friendly, attentive and thankful. Even doing something as simple as directing a parent to a water fountain seems to make their day. 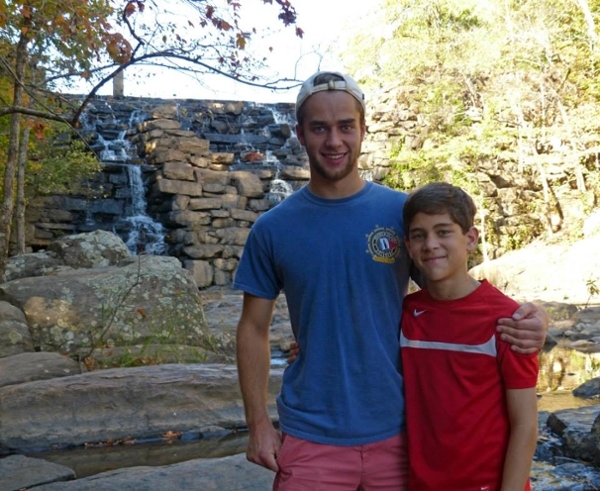 Josh and his younger brother Bryson at Chewacla State Park. 4. If you could give any piece of advice to an incoming freshman, majoring in engineering, what would it be? This is a tough major, not an impossible one. I have been telling people this at sessions, most of them very nervous about entering engineering. By creating good time management and study skills (and always attending class) engineering becomes a manageable major. I also tell incoming students that it is possible to be an engineer who is involved in other campus activities. 5. What are your goals after graduation? I would like to go to graduate school. I am using next fall to look at different options. Right now I am thinking of getting my Master of Business Administration or Master of Industrial Engineering. Of course I also want to get married, move to the suburbs and have 2.4 kids but that will come much later.